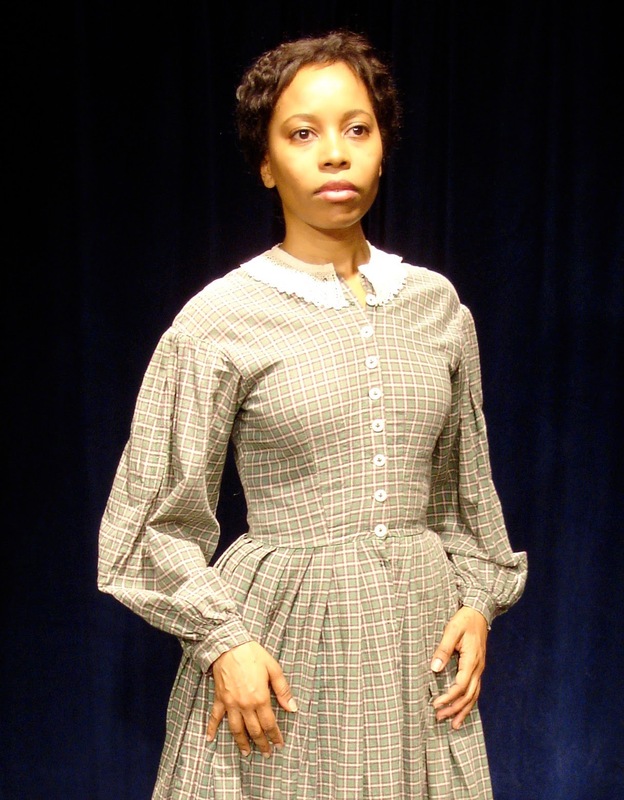 Hailed as the most important narrative of its time depicting the life of a female slave, Harriet Jacobs’ Incidents in the Life of a Slave Girl comes to life in a groundbreaking performance by star of stage and screen, Cherita Armstrong, Friday and Saturday, February 27 & 28, 2015 at 8:00 p.m. The Friday February 27 performance is in The Forum at Diana Wortham Theatre; and the Saturday February 28 performance has been moved to the main theatre due to high demand. Her years in The Loophole were a part of Harriet Jacobs’ ultimate plan for freedom. Jacobs’ story continues through her escape, her status as a runaway fugitive in the North, and finally her path to freedom and reunion with her children. Actor Cherita Armstrong brilliantly dramatizes this astonishing story, bringing to life Jacobs’ astonishing account as a mother and a survivor. Audiences are invited to stay for a post-performance discussion with Cherita Armstrong and examine the “peculiar institution” of slavery and the accompanying themes of resilience and survival. In addition to its evening performances, productions of Incidents in the Life of a Slave Girl are also a part of the 2014/2015 Matinee Series for Students and Families on Wednesday, Thursday, and Friday, February 25-27 at 10:00 a.m. These performances are recommended for Grades 7-12. Individual and group tickets are available by calling the box office at 828-257-4530. Performances in the Matinee Series for Students and families are open to school groups, homeschoolers, community groups, and families. Actor Cherita Armstrong’s film and television credits include Nowhere to Go But Up, Better Dayz, Law & Order “Special Victims Unit,” Law & Order “Trial By Jury,” All My Children, and various commercials. Armstrong has worked with the Manhattan Class Company, Ensemble Studio Theatre, American Place Theatre, New York Theatre Workshop, NY International Film Festival, Yale Repertory Theatre, St. Louis Black Repertory Theatre, and NY Stage and Film. This production of Harriet Jacobs’ Incidents in the Life of a Slave Girl is a Literature to Life original, adapted in 2006, and was commissioned by and premiered at The New York Historical Society. The American Place Theatre was founded in 1963 by Wynn Handman, Sidney Lanier, and Michael Tolan at St. Clement’s Church, on 46th Street in Manhattan, and was incorporated as a not-for-profit theatre in that year. Tennessee Williams and Myrna Loy were two of the original Board members. The first full production was Robert Lowell’s theatre trilogy masterpiece, The Old Glory, in November 1964. Incidents in the Life of a Slave Girl’s Asheville performances are made possible by Media Sponsor WCQS 88.1 FM. The entrance for the Diana Wortham Theatre at Pack Place is marked by the location of the theatre’s marquee between 12 and 14 Biltmore Avenue. Patrons enter the theatre through the breezeway between Marble Slab Creamery and White Duck Taco restaurants, and into a large interior courtyard with multiple glass doors to the theatre’s main lobby and box office. The intimate main theatre seats just over 500 and boasts exceptional acoustics and sightlines, making it the premier performance space in Western North Carolina. The Forum is a small performance space off the main lobby of the Diana Wortham Theatre with flexible stage and seating configurations for 120 patrons. The Mainstage Series is supported by a grant from the North Carolina Arts Council, a state agency. The Mainstage Series 2014/2015 Season Sponsors are the Asheville Scene, Blue Moon Water, Creative Energy, Laurey’s Catering and Gourmet-to-go, the North Carolina Arts Council, and the Renaissance Asheville Hotel. To obtain more information on the Mainstage Series or to purchase tickets, call the theatre’s box office at (828) 257-4530 or visit www.dwtheatre.com. Friday Staffing posts hot jobs "special edition"
NC Stage and ACT to co-produce "Amadeus"